All prices listed are before tax and subject to change without notice. Lunch: $9.39Dinner/Weekend: $10.99Must be 65 years or older. Cannot be combined with other offers. Lunch: $9.39Dinner/Weekend: $10.99Must show military ID. Cannot be combined with other offers. Lunch: $9.39Dinner/Weekend: $10.99Must show school ID. Cannot be combined with other offers. Lunch: $7.99Evening: $9.29Must be 65 years or older. Cannot be combined with other offers. We’re serving up your next legendary experience! At Pizza Ranch your whole family will enjoy all the specialty pizzas, mouth-watering chicken, and fresh sides you can eat—and don’t forget about our famous Cactus Bread®! Let us cater your next event or host it in our large community room. Tucked right in the middle of Sunset Plaza Mall, we’re close to many shopping venues and to Ta-Ha-Zouka Park. If you want to stay home, we’ll deliver savory fixin’s right to your door. Raise funds for local causes with Community Impact events, where a portion of the proceeds are donated to your local charity drive, team, or non-profit business! Hi Donald W! Thanks for stopping by the Ranch! At Pizza Ranch, we want to serve you the food you enjoy. We hope to serve you again soon! Hi lu s, thank you for your review. Pizza Ranch values our loyal guests and it’s our goal to provide legendary service. We hope to serve you again soon! Made a request for Mac n cheese pizza but the clerk told us she thought it had just been requested. It never was brought out before we finished dining! Penny F, this doesn't sound legendary. We always appreciate feedback and will share this with our team. Very friendly and helpful staff!! Food fresh and delicious!! Will definately be back!! Penny M, thank you so much for sharing! Pizza Ranch values our loyal guests and it’s our goal to provide legendary service. We hope to serve you again soon! It was delicious like it always is! Amber Block, thank you so much for sharing! 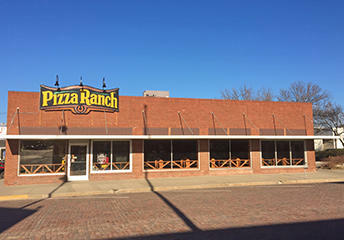 Pizza Ranch is happy to offer a place where friends and family can gather. We hope to serve you again soon! Buffet was kept well stocked and the service was great!! Everyone was very friendly! Hi April S., thank you for your review. At Pizza Ranch, we want to serve you the food you enjoy. We hope to serve you again soon! Great food and very helpful staff! Shirley C., thank you so much for sharing! Always great pizza and chicken. Kids want Pizza Ranch everytime we go out! Scott B, thank you so much for sharing! Pizza Ranch values our loyal guests and it’s our goal to provide legendary service. We always appreciate feedback and will share this with our team. Hi Cindy P., thank you for your review. We hope to serve you again soon! Jana m, thank you so much for sharing! Pizza Ranch values our loyal guests and it’s our goal to provide legendary service. We always appreciate feedback and will share this with our team. Steve w, thank you so much for sharing! 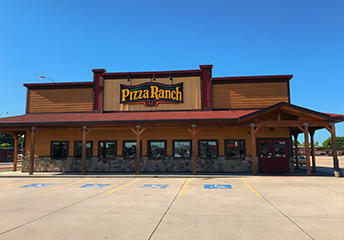 Pizza Ranch values our loyal guests and it’s our goal to provide legendary service. We hope to serve you again soon! Sherri H, thank you so much for sharing! Pizza Ranch values our loyal guests and it’s our goal to provide legendary service. We hope to serve you again soon! Customer service was on point the second we walked into the restaurant. And food was delicious as always. We happened to go on a Tuesday as well so our kiddos ate for free which is always a bonus! Hi Dena L., thank you for your review. At Pizza Ranch, we work hard to provide exceptional service and delicious food for our guests. We hope to serve you again soon! Deeply enjoyed another visit to Pizza Ranch. Really enjoyed the staff along with the food - especially the busboy (man) who was working around 4:30 p.m. on 2/26/2019 in Norfolk, NE. He is always pleasant with a positive attitude. Hi Fred Snowardt, thank you for your review. Pizza Ranch values our loyal guests and it’s our goal to provide legendary service. We always appreciate feedback and will share this with our team. Shirley H, thank you so much for sharing! Stop in sometime with your 4 yer old and we will get them some ice cream to go. Hope fully that makes up and makes their day. Thanks again for the review. Hi Dennis Utecht, thank you for your review. At Pizza Ranch, we work hard to provide exceptional service and delicious food for our guests. We apologize if our front counter person did not ask if any of you were Seniors. Ask for Steve next time your in, and I will personally make sure your taken acre of of you. Thanks again. Thank you for your feedback, Brad K. We are glad you enjoyed the customer service during your recent visit. Elsie S, thank you so much for sharing! At Pizza Ranch, we want to serve you the food you enjoy. We hope to serve you again soon! Hi Patty L., thank you for your review. 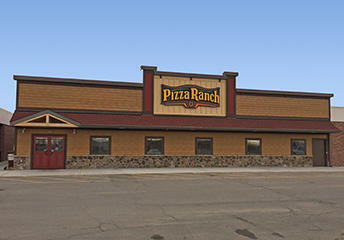 Pizza Ranch is happy to offer a place where friends and family can gather. We hope to serve you again soon! Hi Jody M., thank you for your review. At Pizza Ranch, we work hard to provide exceptional service and delicious food for our guests. We hope to serve you again soon! We always appreciate feedback and will share this with our team.